What do we know well about these generations, in particular, our Millennial students and employees? - We know they’re the most educated generation thus far, 64% of them hold bachelor’s degrees or higher. - They were born and raised with tech, and will always favor a digital option for just about everything. 99% of Millennials expect digital and mobile delivery to accompany any print-based training materials, we discovered in a recent survey. - For many reasons, Millennials are accustomed to personalized life experiences due mostly to trends in parenting and society, as technology made its way onto the scene. o This is often why other generations label Gen Y as “sheltered”, “catered to” or “spoiled,” but it has more to do with how they were raised, in a time that bore the Internet. By this we mean that technology and the internet have created a sense of “instant gratification” (the ability to search and find anything, anywhere you are) that Millennials can’t remember being without. - By 2020, 3 out of every 4 employees in the US workforce will be Millennials. 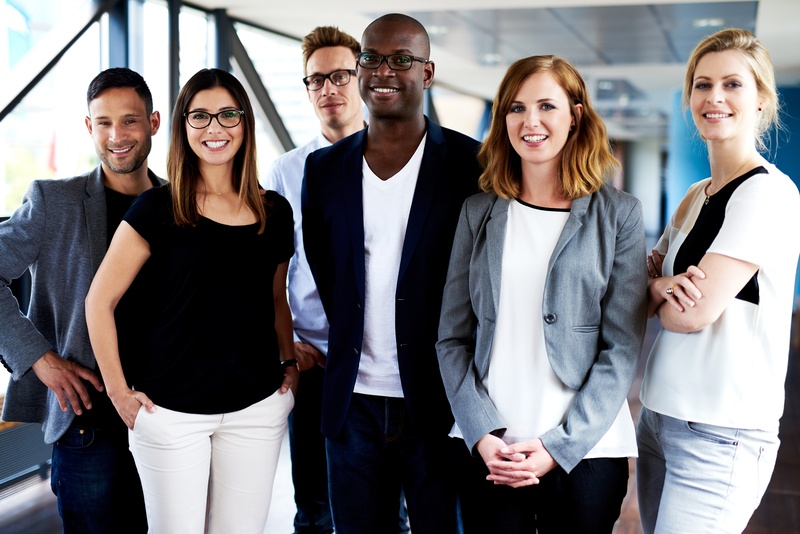 Given what we know about the tendencies of the Millennial generation and the role they’ll continue to play in the workforce for many years to come, it’s easy to infer that they expect a kickass employment experience, even down to the training. Your organization will benefit dramatically if you become vital to your employees. Don’t just be an employer- that’s a fast-track to turnover. You have to be needed in the process of your employees’ success, or they can easily jump ship for a better opportunity. How do you become vital to your employees? Help them to succeed by offering learning and training opportunities, and other performance support that is personalized for them. If you are an essential part of the success of your employees in some way, they will understand your investment in them and be more productive and confident in their roles. We hate to say because everyone else is doing it, but it’s the truth. Personalized training has now become less of a decision for an employer to make, and more a valid expectation. Your employees have a personalized experience in almost every place these days. Let’s take an account on Netflix or the like as an example. A Netflix account can recommend entertainment based on the personal preferences of the user, why then wouldn’t a trainer make content suggestions based on the same? Everyone is doing it because it’s a better, easier way to reach your employees and to have a helping hand in their success, and the success of the organization. To better connect with and engage your employees. You are undoubtedly missing some of your employees with an archaic training program that doesn’t fit their learning styles. The attention spans of employees are getting shorter and shorter, so you have to find a way to cut through the noise and make an impact. Personalizing training materials and the accompanying courses can increase employee productivity and engagement. The time to start personalizing your brand from the inside out was a while ago. Now it has become an expectation of your employees and those to come that you provide them with an employment experience they seek. If not, they’ll continue to move until they find what they need. Sources: “Are You Ready to Deliver Personalized Learning?” by Ruth Kustoff, Kasper Spiro, Learning Solutions Magazine, learningsolutionsmag.com.